No more soggy pizzas—durable pizza circles absorb liquid from the pizza to ensure freshness. 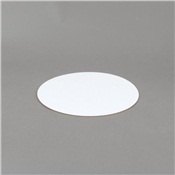 Convenient circles assist in heat retention. 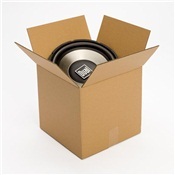 Made of sturdy B-flute 150# test FDA approved corrugated board. A white liner on one side allows for an attractive presentation. Perfect for use as a disposable dish when serving hot pizza. 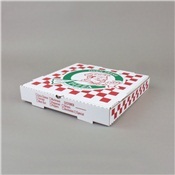 Food Container Type: Pizza Circle; Material(s): Cardboard; Color(s): White; Diameter: 12". 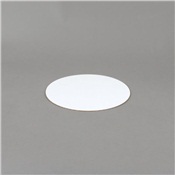 No more soggy pizzas—durable pizza circles absorb liquid from the pizza to ensure freshness. Convenient circles assist in heat retention. Made of sturdy B-flute 150# test FDA approved corrugated board. A white liner on one side allows for an attractive presentation. 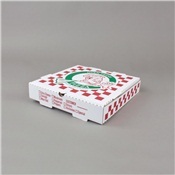 Perfect for use as a disposable dish when serving hot pizza. 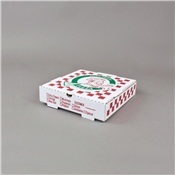 Food Container Type: Pizza Circle; Material(s): Cardboard; Color(s): White; Diameter: 12".